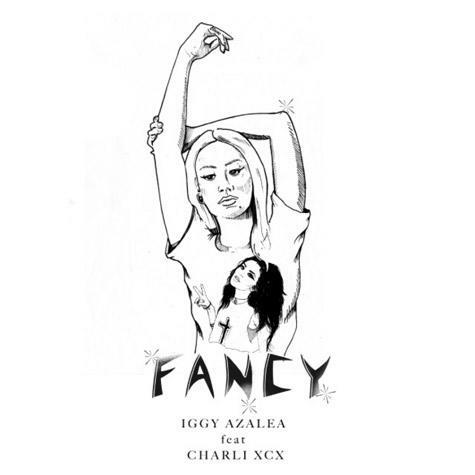 Iggy Azalea and Charli XCX get "Fancy" on their new collaboration. Iggy Azalea may be from the outback, but it apparently won't stop her from rapping like she's from Zone 6 Atlanta and taking on West Coast production. Here, she gets help from Charli XCX, who's accent properly identifies her as being from the UK, where she's recently acquired quite a bit of stardom. Charli also showed up on Danny Brown's "Old", and is quickly beginning her invasion of North America. The Azalea and XCX are planning to shoot a video for "Fancy" in LA later in the month. Also, we're pretty sure someone recorded this off the radio using their iPhone. Sorry about that. "Now tell me, who dat, who dat? That do that, do that/ Put that paper over all, I thought you knew that, knew that/ I be the I-G-G-Y, put my name in bold/ I been workin', I'm up in here with some change to throw"